DHL Supply Chain was named “Green Fleet of the Month” in the September 2018 issue of Fleet Owner Magazine. DHL’s GoGreen initiatives are highlighted in the Fleet Owner article “Setting Sights on Zero Emissions: DHL Supply Chain employing a range of equipment measures“. Orange EV appreciates the partnership with DHL Supply Chain in commercially deploying the first 100% electric Class 8 trucks. Thank you DHL! Read the article. 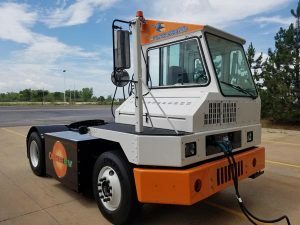 Note: When replacing diesel trucks with Orange EV pure-electric, all previous emissions will be eliminated regardless of duty cycle.